Are you a Trekker or a Trekkie? 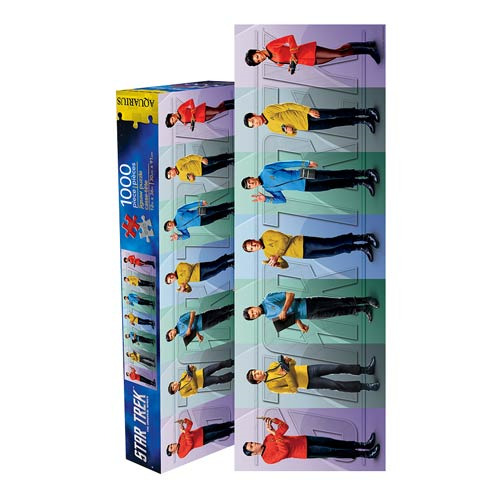 Whichever you are, you're gonna love assembling this Star Trek: The Original Series Cast 1,000-Piece Slim Puzzle featuring Scotty, Chekov, McCoy, Kirk, Spock, Sulu, and Uhura. Beam one down today! Measures 36-inches wide x 12-inches tall when complete. Ages 14 and up.